It was time for some white-ball action as all the Asian teams were geared up for the multi-nation tournament in the form of Asia Cup. In the opening encounter at Dubai, Sri Lanka was up against the Bangladeshi Tigers, as they looked to take revenge for their recent loss in the Nidahas Trophy, earlier this year. 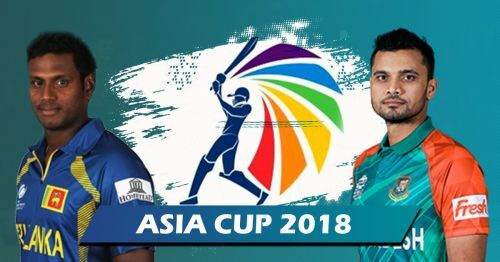 Off-late, both the Asian teams have developed a fierce rivalry, with Bangladesh being backed by some recent success in the limited overs format, while Sri Lanka seems to go through a rebuilding phase after some of the greats hung their boots. It was a game that witnessed ebbs and flows before the Tigers emerged victorious by 137 runs as Sri Lanka failed to capitalize on the start provided by their seamers on a dry wicket. Lankans were wayward in their plans in the death overs to allow Rahim to guide his side to a defendable total of 261 runs. In response, Sri Lanka, crumbled to a paltry score of 124 runs to end on the losing side. This was the only positive as Sri Lanka's veteran pace bowler made a spectacular return to the international cricket. He was the only major threat in the Sri Lankan bowling lineup who looked to cause some damage with the ball. After an exile of more than a year from the game, Malinga made a dream comeback as he registered figures of 4 for 23 in his 10 overs. He wreaked havoc into the opposition camp and bowled with enormous intensity to give it all for his team. He was quick and bowled some superb deliveries, reminding us of his younger days in cricket. His accuracy with the new ball and two wickets in the first over, made it clear that he was a man on a mission.